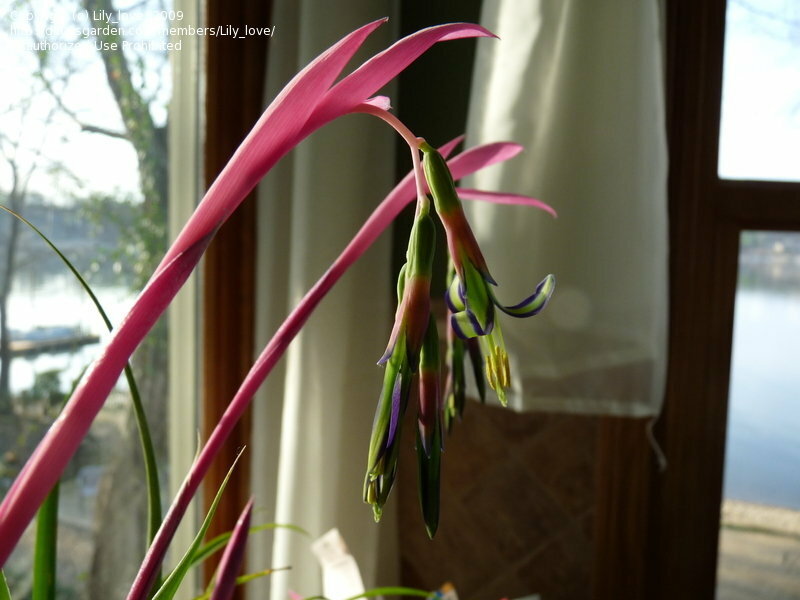 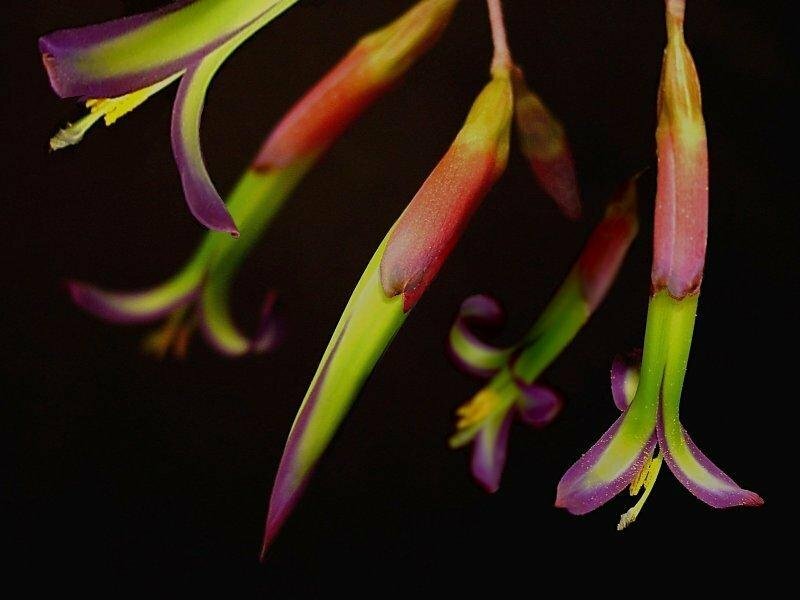 Queen's Tears, Friendship Plant, "Mini Form" Billbergia Nutans has blooms that look like other Billbergia nutans plants' blooms; however, they are much smaller as is the plant. 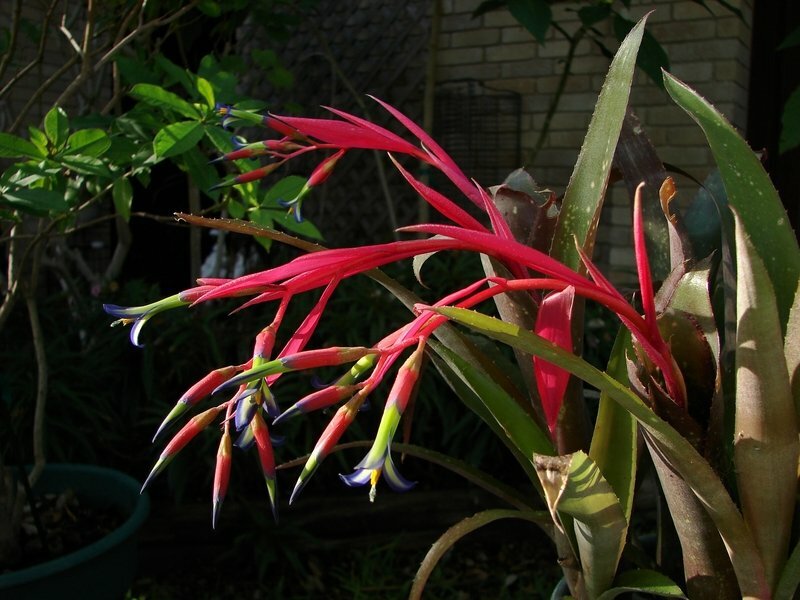 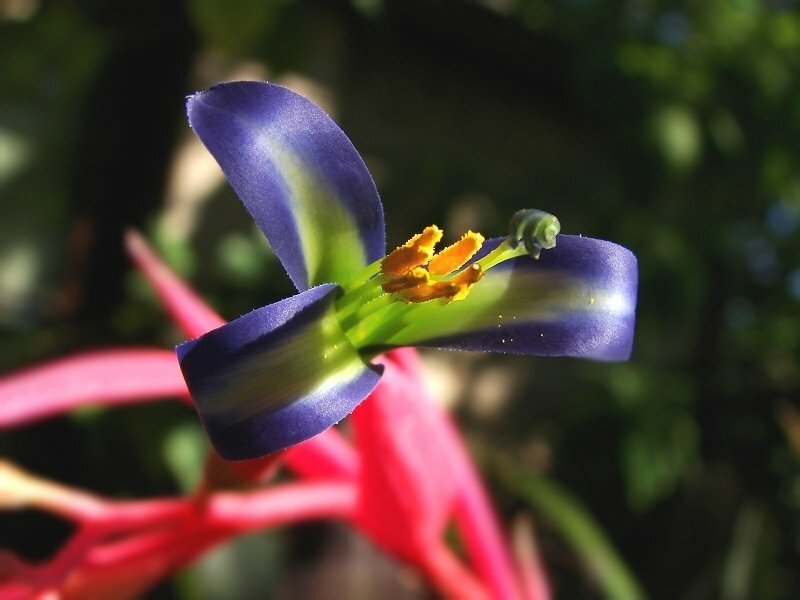 Billbergia Nutans 'Mini' blooms are edged in a royal blue which appears to be a purple in some lighting as shown here. 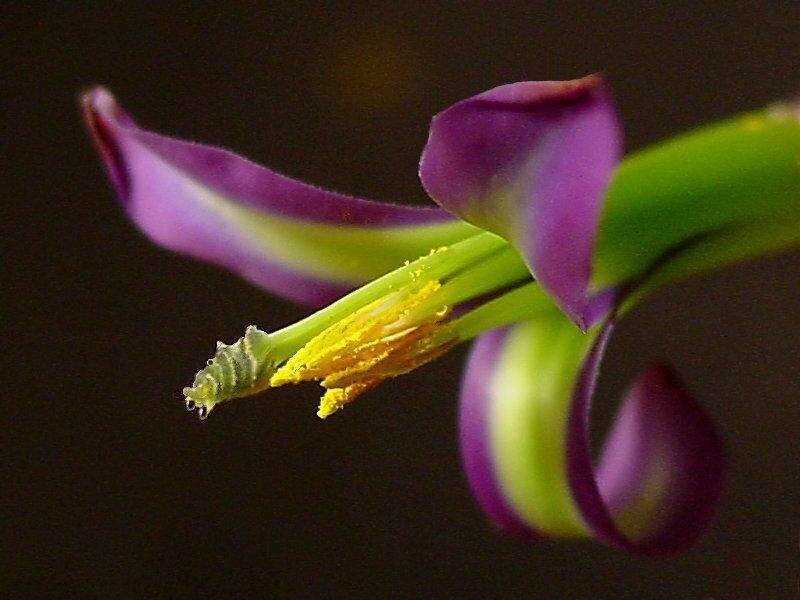 There are 4 sticky nectar droplets on the bloom (hence the name "Queen's Tears). 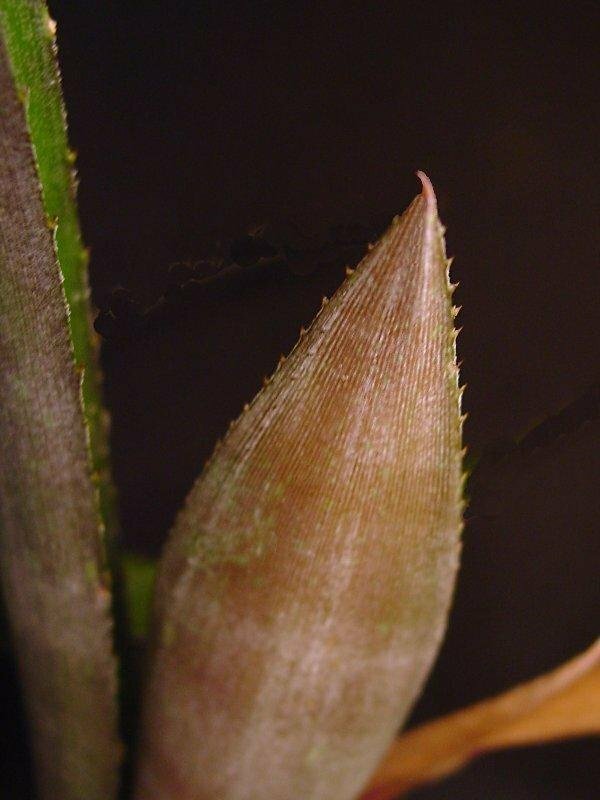 Billbergia Nutans 'Mini' leaves have stiff spines and banding on the undersides. 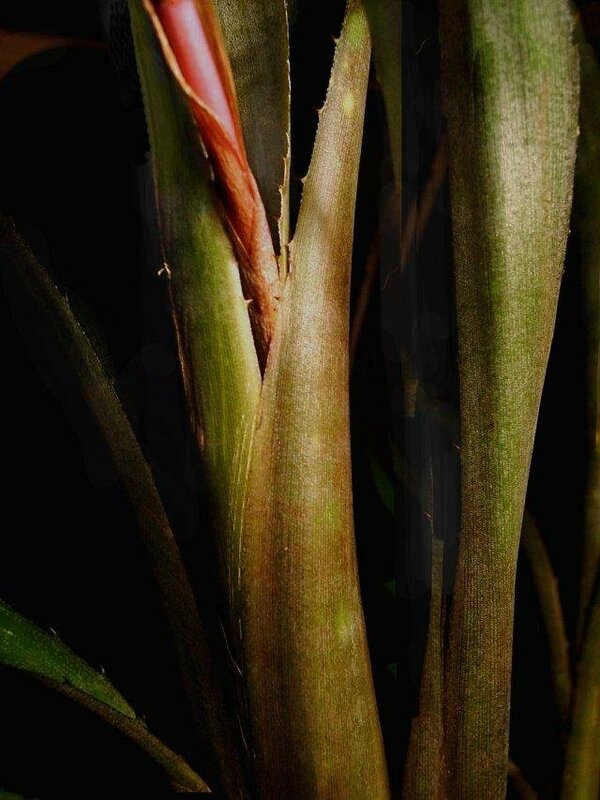 A view of Billbergia Nutans 'Mini' leaves and an emerging inflorescence. 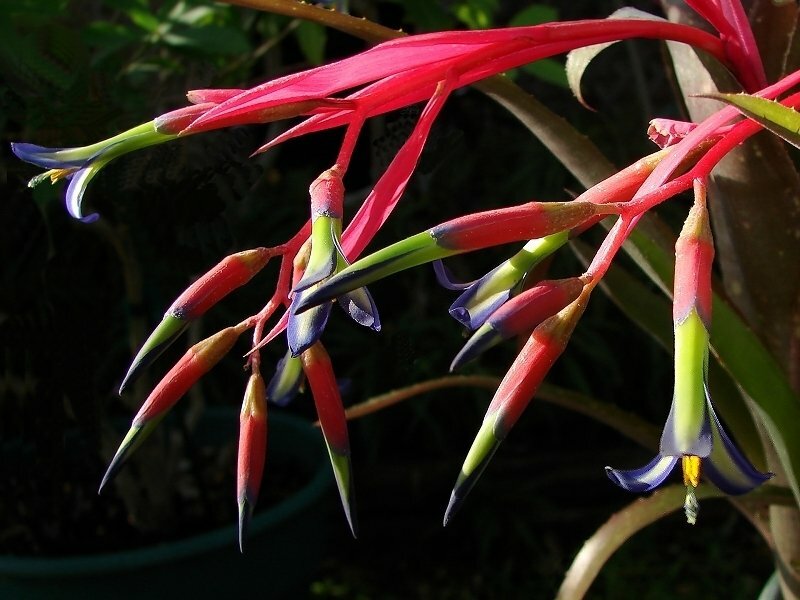 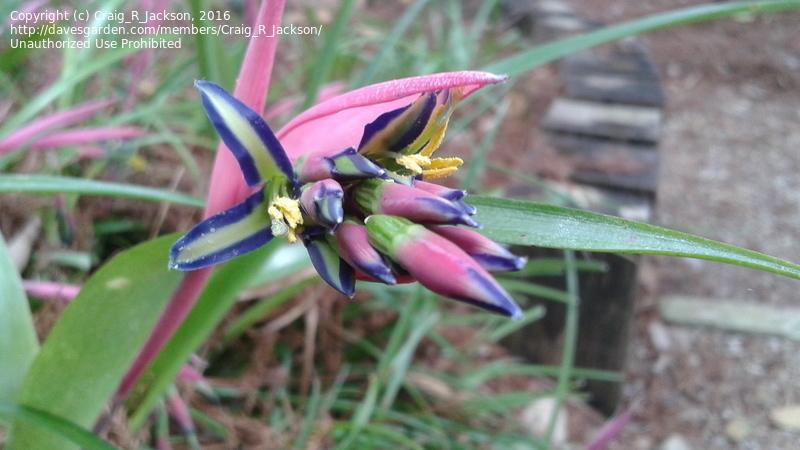 Attractive flowers are formed in late winter in greenhouse with cool temp.